alaTest has collected and analyzed 1142 reviews of Apple iPad Pro 12.9-inch (2017). The average rating for this product is 4.7/5, compared to an average rating of 4.5/5 for other products in the same category for all reviews. Reviews about the design and size are on the whole positive. The performance and usability also get good feedback, whereas the apps and portability get mixed opinions. The storage and price get less positive opinions. We analyzed user and expert ratings, product age and more factors. 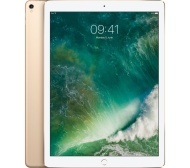 Compared to other products in the same category the Apple iPad Pro 12.9-inch (2017) is awarded an overall alaScore™ of 95/100 = Excellent quality. Laptop-level power. Surprisingly light. Plenty of screen real estate. Expensive. Apps don't quite complete most workflows. Smart Keyboard needs a touchpad; Lengthy recharge time ; The 12.9-inch iPad Pro boasts the best screen and performance we've ever seen in a tablet, but we'd suggest waiting for the final version of iOS 11 to arrive before you splurge. The iPad Pro is Apple's biggest, fastest and most expensive iPad ever. It's very good, but not a total replacement for your laptop. The iPad Pro has a large, 10,307mAh battery that Apple claims will last for 10 hours. That’s the same figure quoted for the iPad Air 2 – and, based on my testing, is pretty much on the money. Apple's mobile OS includes some sweet creative enhancements for the iPad Pro. iOS adds some genuinely useful features to the iPad Pro 12.9, especially around Apple Pencil. And the dock is superbly implemented. The original Apple iPad Pro was a stunning machine and despite the relatively minor upgrade, the 2017 model is simply incredible. It’s faster, feel more fluid in use than before and remains every bit as good as the original.